At Cavender Homes, we believe that buying and building a new home should be a stress-free, transparent process, and most importantly an enjoyable experience. Having worked across many aspects of the home building process we understand how critically important it is for you to feel knowledgeable and comfortable with every step of the process; from choosing a homesite and financing to selecting your features and finishes, to the final walk-through, and ultimately closing on your beautiful new home. Our team of dedicated home building professionals will guide you through the entire journey making sure that building a new home with Cavender Homes feels quite simply as easy as 1-2-3. And even after we hand you the keys, we want you to know that you are part of the Cavender family – we’re always here to answer any questions you may have. 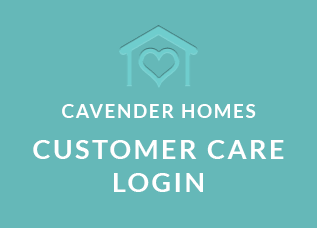 If you’re looking for warranty information on Cavender Homes, please login to submit your request.